This was the brand new notification announced by APSPSC. Both APPSC and APSPSC are same. Due to the non availability of domain name APPSC registered a domain as apspsc.gov.in meaning that Andhra pradesh State Public service commission. Apart from the previously announced Appsc all notifications 2011, it published APPSC Group-ii Notification 2012 with all the details. Main aim is to recruit maximum number of eligible candidates in various categories. APPSC Group ii Notification 2012 available from the official website at http://apspsc.gov.in. APPSC all new notifications were published on their webportal. Note to all the readers. Find the Small change in APPSC Group 2 Notification 2012. As per the notification issued in December, the total Non-Executive posts are 406 and it was increased to 502 and Executive posts were unchanged. Andhra Pradesh Public service commission has recently released a note on recruiting the aspirants under Group 2. 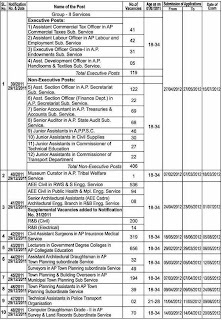 Now officials has released the Group 2 Notification 2012 in AP with all the particulars including the APPSC Group 2 Exam dates. All the candidates can go through the detailed APPSC Group ii Notification 2012 in order apply for correct recruitment process when Online Applications were available. Under Group 2 Service Recruitment, there are totally 119 Executive Posts and 502 Non Executive posts. 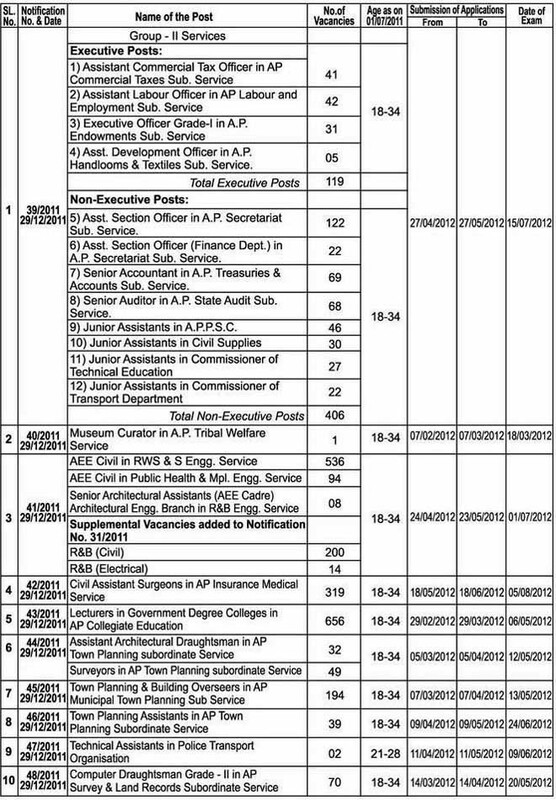 Apart from these posts there are many other vacancies in other categories that was mentioned in APPSC Group ii Notification 2012 in AP. Totally the called recruitment for 2739 Vacancies. Submission of Group 2 Online Application form 2012 will begin shortly with the respective date mentioned in the Notification by APSPSC. Calculation of Age should be as on 01-07-2011. All the important and necessary information was drafted in the Group 2 Notification 2012. Submission on Group 2 Online Application forms will begin from 27.04.2012 and continues till 27.05.2012. Final Written test date was scheduled on 15th July 2012. Candidates are requested to go through the updated Group2 Notification 2012. Download APPSC Group-ii Recruitment Notification 2012 from apspsc.gov.in for the particular post. Appsc Group 2 Hall tickets 2012 and Group 2 Recruitment 2012 Selection list will be published after the commencement of examination.